When John James took the stage following his U.S. Senate loss in Michigan, he presented it as not as a sign of complete disappointment, but as a new chapter in his life. James is not looking for someone or something to blame for losing the election. Instead, he spoke to his supporters about what they already have achieved and what building blocks they have constructed for the future of Michigan and the U.S. Here are several key takeaways that he laid out in his concession speech on election night. As John’s speech suggests, Christians should not only worship God in victory, but also worship Him in times of defeat. John understands that he has the ability to help serve and raise up those who have little. He knows that his political career is not defined by just one election. He’s using what he has learned and accomplished during his Senate run to prepare for bigger plans that God may have in store. 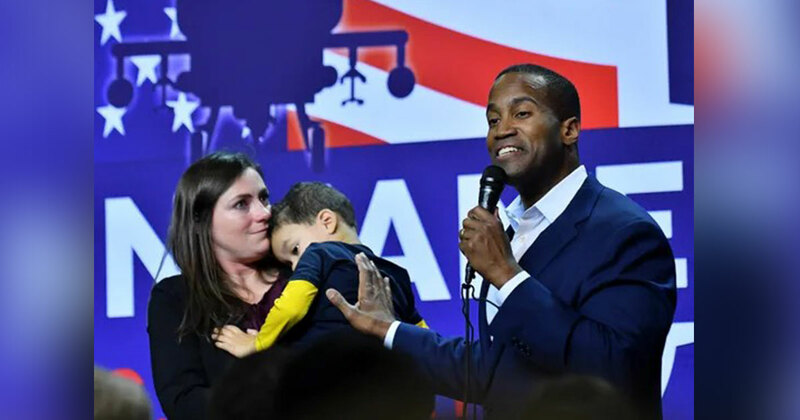 Watch John James’ full concession speech. Andrew Brunson is not hesitating to fulfill his pastoral duties, even after just returning home from Turkey after two years of imprisonment. The pastor visited the Oval Office on October 13, asking the President if he could pray for him. “I need it probably more than anyone else in this room, so that would be very nice, thank you,” the President replied. The emphasis of Pastor Brunson and his wife’s prayers lays a heart-warming and encouraging message for the Christian community. No matter what trial we may be experiencing, Christians are called to be God-conscious in their lives to allow God to work through the people who are representing us as a nation. George Washington once said, “It is the duty of all nations to acknowledge the providence of Almighty God, to obey His will, to be grateful for His benefits, and humbly to implore His protection and favor.” Prayer is an action we take of opening a door to allow God to answer the needs we place before Him. In addition, prayer isn’t solely the act of supporting one another, but also the allowance of God to work in our hearts and be changed more to reflect His image instead of of our own. Our President, Congressmen, Supreme Court justices, and those even at the state and local levels, need our prayers of support for decisions to be made with prudence, since what they do will effectively either prosper or harm us. Romans 1:28 forewarns us of those who don’t acknowledge God. Those who don’t are declared by God to be given “up to a debased mind to do what ought not to be done.” Without the action of prayer, God cannot lead us in unity or humble us to live in His fruit of humility, kindness, patience, and joy. We will be more susceptible to giving in to our own ambitions. American Founders such as Samuel Adams heeded prayer as a necessity to keep the blessings of God abounding throughout our nation. “May every citizen in the army and in the country have a proper sense of the Deity upon his mind and an impression of that declaration recorded in the Bible: ‘Him that honoreth Me I will honor, but he that despiseth Me shall be lightly esteemed’” [1 Samuel 2:30]. Mankind alone cannot hope to obtain the right to true wisdom and understanding if they do not understand the precedent of acknowledging the Creator. The Creator who crafted us in principle and love to serve each other under the guidelines of the teachings of Jesus Christ, who He himself arose “early in the morning, while it was still dark,” (Mark 1:35) to pray to the Father. Jesus came to earth as a servant, to be obedient to the Father and submit Himself to His will. If we truly desire an eternal relationship with the Father, then we must abide by the Son’s example. In our time, let us never allow ourselves to be too proud or distracted by what happens on this earth to drive us astray from praying to our Father in heaven for each other and our leaders. Take some time in a quiet place. He’s always willing to listen.